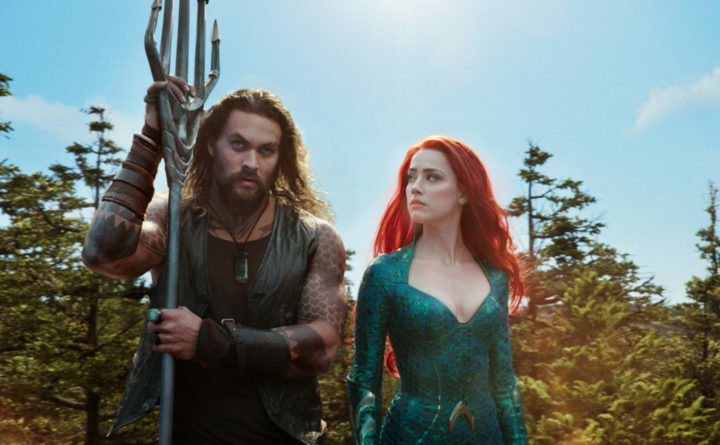 DC’s newest superhero movie, “Aquaman,” tries for two and a half hours to sell audiences on the computer-generated underwater setting, but the most memorable parts of the movie take place in the fictional town of Amnesty Bay, Maine. Atlanna is soon taken away to Atlantis by soldiers who break into Curry’s house with glorified water guns, leaving her half-Atlantean son and the most interesting part of the movie behind us. There’s a fun bar scene where Arthur Curry (Jason Momoa) effortlessly hangs out with some local Mainers and chugs beer with his dad, but soon he’s interrupted by Mera (Amber Heard), who is burdened by a bright red Ariel wig and the responsibility of pushing Arthur toward the throne of Atlantis. When Mera uses her ambiguous water manipulation powers to save Tom Curry’s life, Aquaman agrees to dive off a picturesque coastal Maine cliff into the CGI underwater world he’s supposed to rule over one day. It is unclear if the primary villain of the movie is Black Manta (Yahya Abdul-Mateen II), who wants to kill Aquaman for leaving his pirate father to die, or Aquaman’s half-brother Orm (Patrick Wilson), who tries to kill him in a “Thor Ragnarok”-like colosseum fight. The predictable plot driver is a legendary golden trident that Aquaman must acquire to be able to displace Orm. The unnecessarily prolonged search for this lost trident takes Aquaman and Mera to a myriad of land locations and finally leads him to his mother, who we all were supposed to presume dead but knew was alive. Atlanna and Mera hang out as Aquaman fetches the long-lost trident from the supposedly formidable sea monster and pops up in front of a waterfall wearing gold armor that perfectly matches his shiny new weapon. He defeats Orm and Atlanna returns to live with Tom Curry, who has been walking to the end of the pier every day, waiting for her return. Aquaman’s first solo movie is bogged down by cheesy dialogues and a sloppy storyline but the few beautiful shots of the fictional town of Amnesty Bay begin to make up for it. Here’s hoping for a sequel that somehow takes place entirely in Maine.